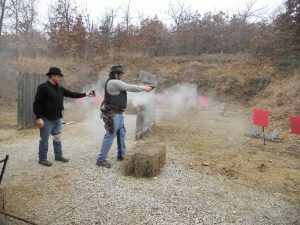 Eastern Oklahoma’s place to be for cowboy shooting. Why be a member? Your membership support helps us buy water and gatorade for hot summer shooting days, prizes and meat for our annual Christmas party, food/drinks for club work parties, keep this website alive and up-to-date, as well as various other things throughout the year! With your membership, you also get a vote in how the club runs! We run an annual election for our board members, so you can nominate and vote for the folks that run the club, and whenever there is any other club vote to be held, you get a say in those, too. Also, when we can, we also like to support club businesses! So you can see, there are a LOT of great reasons to join us and become a member. We hope you’ll consider joining us! Cowboy Shooting is a great sport to meet new people. If you are interested in becoming a member, please see the information below and fill out our form to bring with you to your first shoot! 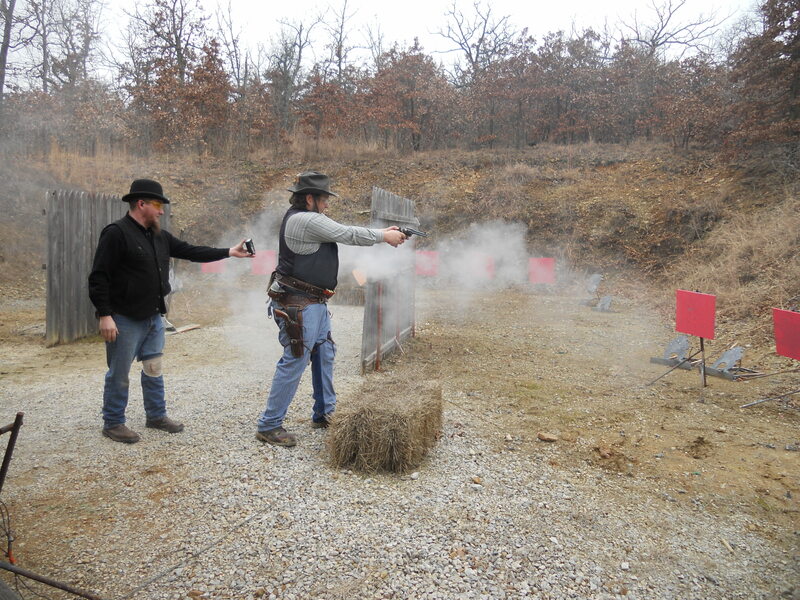 If you are new to Cowboy Action Shooting, click here to view our personal guide! Currently, our yearly dues are accepted each year January through March. After March 1st, applications for membership will close.